Hot off the presses from the International Journal of Language & Communication Disorders. I want to share my thoughts on a recent article entitled Impact of placement type on the development of clinical competency in speech-language pathology students. Little evidence is available to determine at what point a student moves along the clinical competency continuum, and what exactly causes the transition from novice clinician to competent. They investigated 3 variables to determine which placement type and models impacted clinical competency the most. Figure 1 shows the changes in mean across the three placements. 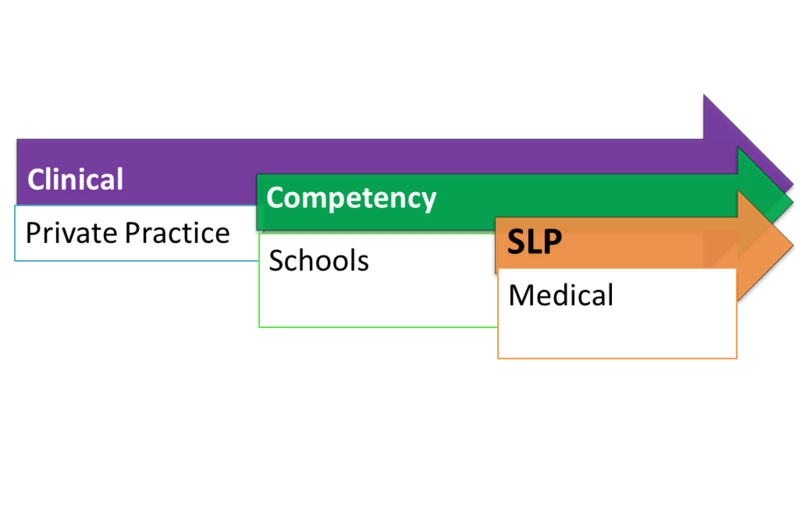 While setting, caseload, and placement intensity may help develop my SLP skills, one thing can take me even further… Becoming a lifelong learner. This is a key ingredient to consider with all of the above factors . Reflection, a positive outlook on learning, and accepting and implementing feedback are just as important as the context of where and with whom you learn it. Interesting. I did my internships at a neuro rehab hospital doing intensive inpatient therapy and a sleepy (extremely low caseload) ICU/Acute care hospital. I learned a lot more from the neuro rehab placement. But for me I knew I didn’t want to work in the school system or with kids. Developing competency in child language didn’t make sense. Very cool post! Definitey helpful to keep in mind for future SLPs (like me). Comforting to know that no matter where you end up – you’ll be learning SOMETHING. Keep up the good work. How’s Alaska? I just wanted to say hello SLP_Echo! I’m an SLP who hails from Anchorage, AK. I meeting SLP’s who have relocated to or who live in the last frontier state. It’s amazing, isn’t it? I’m glad you are enjoying your experiences there – one of my favorite spots to study was a cute little coffee shop in downtown Anchorage called SideStreet Espresso. I also called up the SLPs at the time who were working at the Native Alaskan hospital and they allowed me to observe and answered so many questions for me when I was still an undeclared undergrad – it was awesome!